My name is Randall Gibson. 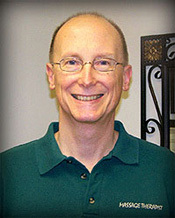 I am a licensed massage therapist in Fairlawn, Ohio with over 30 years of experience and advanced training. I can use that experience to help you DO MORE, FEEL BETTER & LIVE LONGER! My Fairlawn office is just west of Akron, Ohio near Bath and Copley. You may have found your way here because you want something more than the average massage therapist in Akron or Fairlawn can offer. In my integrative massage practice, I specialize in craniosacral therapy for relieving chronic pain as well as optimizing health, vitality and performance. If you are looking for fast relief from pain or anxiety, try this safe, natural approach. There is a conscious intention that every session will provide physical, mental and emotional benefits. If you are more interested in self-awareness or peak performance, discover how craniosacral therapy can help with those as well. Advanced, integrative bodywork takes you much deeper into relaxation and healing than you would likely experience with conventional massage. It may take you to the root cause of a problem and show you the key to resolving it. Just a few sessions can be life-changing. This work is easily performed through clothing so there is no need to undress. You can also opt for a more familiar therapeutic massage, a relaxation massage or a blend of massage and therapy. My primary focus is to provide a safe space for healing to occur. You choose the goal for each session, and I work to support your process. If you are looking for an experienced, professional massage therapist in Fairlawn, schedule today for 50% off your first one-hour session! Stay in Touch! I publish a short, monthly, email newsletter with periodic specials and useful health tips.